Problem: Windows user get Login dialog again and again when visiting the page with custom webparts, even when they are logged into the site. 1. Open Computer Management and select Users. 2. Double click the user and select Member Of tab and add WSS_WPG. This will add user to WSS_WPG group and it should solve the problem. 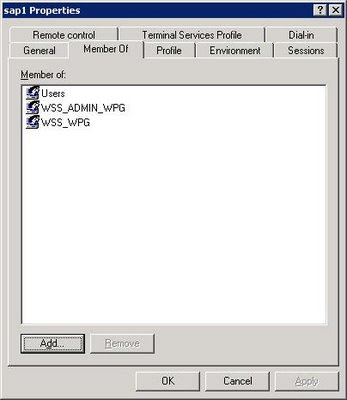 Note: Removing users from WSS_ADMIN_WPG will hide Site Actions from the website. Sometimes we get business requirements like populate a particular field with some pre-defined specific data when item is added or send an alert when item is added etc. SharePoint Designer Workflows solve these kind of basic problem like sending alerts, update the list item etc BUT you need event handlers to be more flexible and to have more control. In this post I will explain how to quickly develop and deploy SharePoint List Events. 1. Create a Class Library Project. 2. Add reference to SharePoint DLL. Above code will get fired on the associated list, when a new item will be created. Pretty easy hah. 10. Add a button and write following code on its click event. 11. Run the Desktop Application and click the button to register the ItemAdded event handler to Candidate list. 13. Add new item in Candidate list and Status and Company fields shoyuld get poulated automatically.